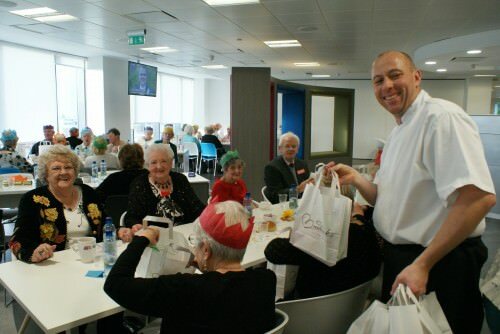 On Saturday 20th December AutoTrader hosted a Christmas lunch for 100 older people from two local community groups and a local care home at their new offices at First Street in Manchester City Centre. 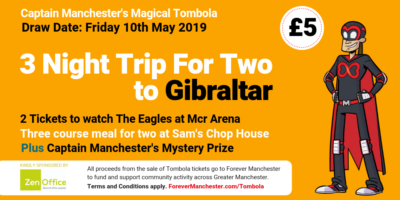 Following AutoTrader’s involvement in Forever Manchester’s fundraiser Caketober, they approached Forever Manchester to help identify and invite two community groups that would benefit greatly from a Christmas Lunch and Party. 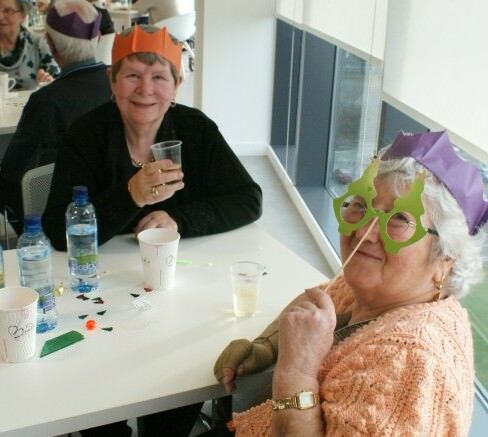 We invited 80 members from Clifton Monday Club in Salford and the Welcome Café and Social Club in Reddish who were all thrilled to go to the party. 15 staff from AutoTrader gave up their Saturday afternoon to volunteer, working alongside Brodericks caterers to provide a 4 course Christmas lunch and gifts for all those who attended. AutoTrader also supplied free transport for their guests which was really appreciated by the groups. Alan from Brodericks caterers hands out goody bags for guests. 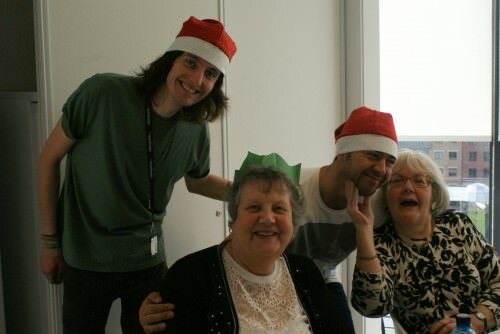 Lesley and Bren also from Welcome Café got into the spirit of the day and had their own sing song on their table with Peter from AutoTrader. We’d love to be able to help even more community projects in 2015, so if you have not done already please consider making a donation.